Gladiator is a slot rather easy to play. That is, when you are aware of the fact that Betsoft's autoplay function usually is a bit weird. More specifically, please bear in mind that after activating the autoplay function, you first have to configure everything again. Most importantly, the default number of active pay lines during automated spins is one. Therefore, make sure to increase that number and check out your coin value every time you activated the autoplay function. All the symbols you will find on this slot are directly linked to the theme of the game, which makes playing, even more, fun. The princess function as the wild symbol, and also brings about a multiplier. She does this by throwing rose petals into the air, but this only happens when she lands on the first reel. Additionally, when she lands on the third reel, a Smashing effect will be activated. One of these is certainly beneficial to your profits. A slot with a Gladiator theme has to be spectacular. This is what software developer Betsoft must have thought when producing this slot. That is, the slot actually is as spectacular as might be expected. The slot does not have any standard animations, as they are all directly linked to the overall theme. Also, the sound effects used are very appropriate, making this slot very attractive. Not only the aesthetics of the game are laudable; also the features are a real asset. Namely, the multipliers might, at some point, even mesmerize you, you can fight in the arena, and there also is another feature with a wild. There are no free spins, but you really don’t need those on this slot, as it already is overwhelming. Gladiator is a slot rather easy to play. That is, when you are aware of the fact that Betsoft’s autoplay function usually is a bit weird. More specifically, please bear in mind that after activating the autoplay function, you first have to configure everything again. Most importantly, the default number of active pay lines during automated spins is one. Therefore, make sure to increase that number and check out your coin value every time you activated the autoplay function. All the symbols you will find on this slot are directly linked to the theme of the game, which makes playing, even more, fun. The princess function as the wild symbol, and also brings about a multiplier. She does this by throwing rose petals into the air, but this only happens when she lands on the first reel. Additionally, when she lands on the third reel, a Smashing effect will be activated. One of these is certainly beneficial to your profits. Gladiator has multiple bonuses. The wild is one of them, as when the princess comes in on the first reel, extra big winnings will be awarded. 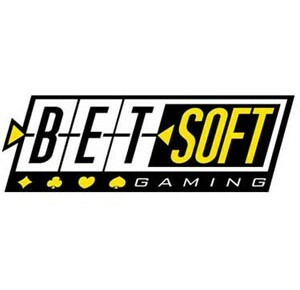 There are no free spins, as Betsoft has decided that the existing extras already are enough. The first bonus is the gladiator landing on the third wheel, resulting in more wild symbols. The other bonus will be awarded when three doors land on your reels. When this happens, you get to choose one of the doors. These doors will always hold a prize for you, but the height is determined by your choice. You will play this bonus game on the regular reels, so you won’t be redirected to another screen. Even though this might not be very exciting, it is easy to play. If the Colosseum lands on your reels, you have just found the scatter. The scatter can make winning combinations in all positions, and therefore does not have to be on an active pay line to yield winnings. Gladiator has 30 pay lines, but you can determine how many you want to play. In order to alter the number of active pay lines, you have to use the pillar-shaped buttons at the bottom of the screen. Also at the bottom of the screen, are the buttons to configure the coin value and to determine how many credits per pay line you want to play. The spin button is the one completely on the right. You can find the autoplay function at the top left corner of the screen. As said before, make sure to configure everything again after having activated the autoplay function.